The mobility landscape is being completely reshaped, and urban mobility poses a massive challenge to metropolitan authorities and businesses as well as great opportunities. The global demand for passenger mobility in urbanized areas is set to double by 2050. Meanwhile, the number of individual journeys taken on a daily basis has grown massively since 2015, thereby putting increased pressure on existing urban mobility systems. Even larger growth is expected in the field of goods mobility, especially in dense urban areas, due to the growing importance of e-commerce and the accompanying boom in demand for last-mile delivery. The mobility industry has not been spared by the recent spate of technological advancements and innovations driven by the fourth industrial revolution. These major technological developments, including big data, artificial intelligence, the Internet of Things and the emergence of new, compact forms of energy, have thrown up a range of new mobility options. Regulation is another important driver of sustainable innovation as it is generally geared towards creating the required framework for the sound introduction of new mobility solutions, ensuring those will positively contribute to reaching the optimal system. Finally, customers’ expectations for fast, reliable, convenient and individualized mobility solutions are rising as fast as the mix of transport modes and services offered to them, and this trend is likely to continue. People’s mobility habits are evolving dramatically and mobility behaviors are being transformed. Current trends and new mobility solutions, the impact of which is analyzed in this report, may lead to very different mobility ecosystems in the future. These evolutions trigger a number of opportunities, but also present key challenges for transport authorities, as well as for mobility solution providers – especially for traditional public transport operators that need to bridge the gap between this new array of demands and the services they currently offer. Arthur D. Little’s Urban Mobility Index 3.0 is much more comprehensive than prior versions. Using 27 criteria, Arthur D. Little assessed the mobility maturity, innovativeness and performance of 100 cities worldwide. The mobility score per city ranges from 0 to 100 index points; the maximum of 100 points is defined by the best performance of any city in the sample for each criteria. The overall results find that most cities still need to work intensively on improvements to their mobility systems if they are to cope with the challenges ahead. The global average score of the 100 cities surveyed is 42.3 out of a possible 100 points. This means that, worldwide, the average city has unleashed less than half of the potential of its urban mobility system, a state of affairs that could be remedied by applying best practices across all its operations. Only 10 cities scored more than 50 points, out of which eight are European cities and two Asian. The highest score was achieved by the city-state of Singapore with 59.3 points, followed by Stockholm (57.1 points), Amsterdam (56.7 points), Copenhagen (54.6 points) and Hong Kong (54.2 points), which indicates that even the highest-ranking cities have considerable potential for improvement. What is holding back change? Mobility visions and policies do not cover requirements. A lot of mature cities do not yet have clear visions of what their mobility systems should look like in the future and coherent strategies for getting there. Moreover, there is a lack of integration between transport modes, across different urban policies (environment, land planning, energy, social policy) and across regions, leading to sub-optimal outcome in terms of performance. The management of urban mobility still often operates in an environment that is too fragmented and hostile to innovation. Mobility systems often still do not respond sufficiently to evolving customer needs, combining single steps of the mobility value chain into integrated systems. And, despite evolution over recent years, mobility systems still often do not sufficiently bring together key players to work jointly to foster lateral learning and develop innovative mobility solutions. In order to address future mobility challenges, cities and mobility solutions providers must first adopt more comprehensive and well-coordinated management of mobility supply and move towards a more proactive approach to demand mobility management in order to better influence behaviors in space and time. The mobility systems of tomorrow should be intermodal, personalized, convenient and connected, and encourage the usage of more sustainable modes of transport (public transport, cycling, walking) while integrating new mobility solutions and autonomous vehicles (AV). 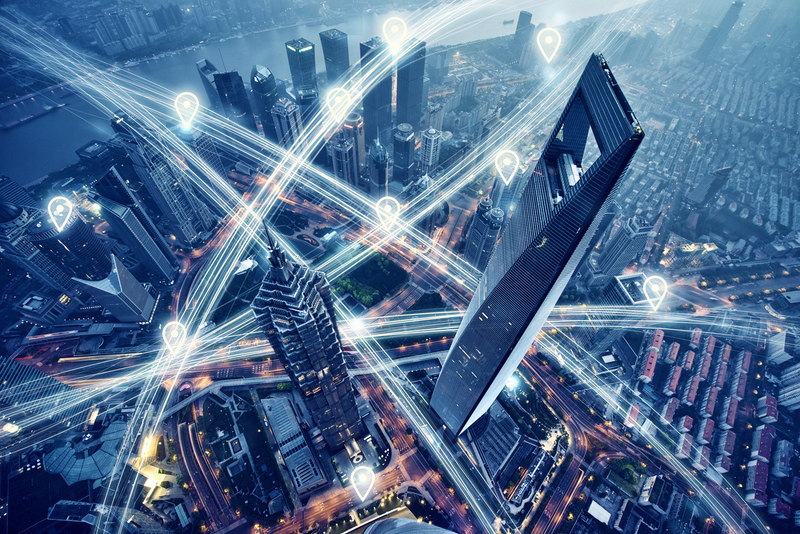 Convergence through digitalization constitutes a major opportunity to reinvent mobility systems as they gradually evolve to embrace “Mobility-as-a-Service”. Digitalization will be one of the main drivers upgrading the mobility system to a completely new level – mobility will become “a truly connected system”. The traditional division of roles in the mobility sector is being challenged today and could change dramatically in the future. Existing players are looking for ways to broaden their roles by developing add-on services to their core mobility offerings to escape what we call the “commodity trap”. New players, often enabled by the digital revolution, are entering the market with the aim to gain critical positions in extended and reshaped mobility ecosystems. Political decision-makers all over the world are incrementally responding and have developed agendas to support sustainable development, and the transport sector is one of the priority areas that is being addressed. The general target picture calls for reductions in both emissions and noise, as well as the sustainable use of materials (whether raw materials or manufactured goods), and at all levels legislation is being introduced to drive change. But how to make it happen? Different paths and different imperatives have to be considered by public authorities and (both traditional and new) mobility solutions providers as they strive towards sustainable and integrated mobility systems to serve smart and liveable cities. A visionary strategy. Cities should develop political visions and decide on objectives based on the strategic alignment of all key public and private urban-mobility stakeholders. This alignment will ensure a balance between visionary ideas and project feasibility. Mobility supply management. Cities should extend their transport offerings for citizens, with views to “delivering solutions” rather than “delivering transport”. They should enter into partnerships and alliances with third parties, delivering user-friendly multimodal solutions that meet everyone’s needs. Mobility demand management. Cities should define ways (incentives/penalties) to encourage people to match their behavior to the mobility mode adopted. Measures do exist, some of which are tried and tested. Public transport funding. To ensure the financial viability of public transport and its operators, assessments must be made in three areas: opportunities to derive additional revenues from aggregation of third-party services; growth in passenger numbers; and revenue collection from indirect beneficiaries of public transport. Sense of purpose: Defining a sense of purpose (or “reason to exist”) by reviewing mission statements, brand platform and values, in order to secure differentiation in the marketplace. These changes should engage external and internal stakeholders alike: externally through emblematic proof along the customer journey; and internally by driving transformation at all levels of the organization. Customer experience: Increasing offering attractiveness and transforming customers into fans by better understanding mobility behaviors and customer needs; developing a superior customer experience across all touch points along the end-to-end journey; and developing a customer-centric commercial offering which takes into account differentiated customer needs. Operational excellence: Maximizing utilization of assets and improving effectiveness and efficiency of all functions across the value chain through effective long-term Capex planning; designing and operating future-proof transport and maintenance plans; and selectively implementing opportunities via innovation and digital technologies. Ecosystem integration: Providing consumers with flexible, efficient, integrated and user-oriented mobility services through developing integrated mobility visions and transport plans; increasing collaboration across mobility stakeholders; and implementing the concept of Mobility-as-a-Service to trigger a move from personal ownership towards usage of integrated transportation solutions. Transformation: Successfully managing the company transformation in terms of leadership, culture, organization and talent management to remain competitive in the short term and relevant in the long term – a shift that involves a willingness to embark on a journey from the “era of productivity” to the “era of creativity”. Arthur D. Little and the UITP elaborate further on those dimensions and identify 12 imperatives for mobility solutions providers to consider when defining their sustainable visions and strategies. The study also includes case studies of mobility solutions providers demonstrating good practices. Increased competition and ongoing consolidation: A survival game for aggregators? Opportunities for utilities and investors?